My dad’s name is Frank. I wonder from whom/where his name came? 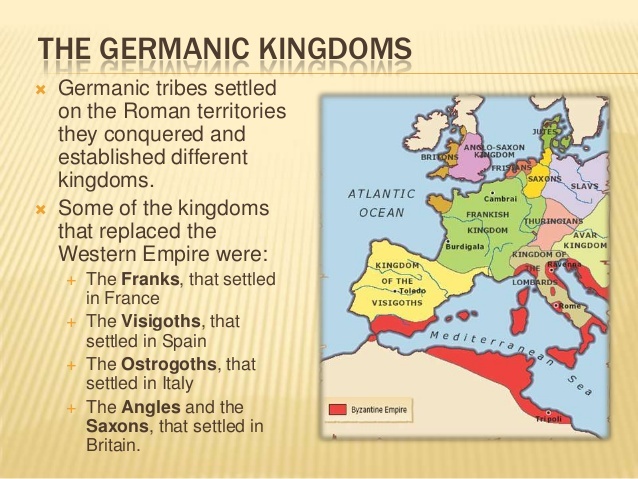 One such theory comes from the Merovingian dynasty where “Frankish” kings ruled a frequently fluctuating area in parts of present-day France and Germany from the 5th to the 8th century AD. They were sometimes called the “long-haired kings” by contemporaries, for their leaders’ symbolically did not cut their hair. A “Frank” was a member of a Germanic-speaking people who invaded the western Roman Empire in the 5th century. Dominating present-day northern France, Belgium, and western Germany, the Franks established the most powerful Christian kingdom of early medieval western Europe. The name France (Francia) also is derived from their name. The dynasty owes its name to Merovech (sometimes Latinized as Meroveus or Merovius), leader of the Salian Franks from about 447 to 457, and emerges into wider history with the victories of Childeric I (reigned about 457 – 481) against the Visigoths, Saxons, and Alamanni. Childeric’s son Clovis I went on to unite most of Gaul north of the Loire around 486. He won the Battle of Tolbiac against the Alamanni in 496, on which occasion he adopted his wife’s Catholic faith, and decisively defeated the Visigothic kingdom of Toulouse in the Battle of VouillŽ in 507. On his death, Clovis partitioned his kingdom among his four sons, according to Frankish custom. Over the next two centuries, multiple Merovingian kings ruled the kingdom – not unlike the late Roman Empire – which was conceived of as a single realm ruled collectively by several kings and could have resulted in the reunification of the whole realm under a single king. The Sicambri, also known as the Sugambri or Sicambrians, were a Germanic people who during Roman times lived on the right bank of the Rhine river, in what is now Germany, near the border with the Netherlands. They were first reported by Julius Caesar. Whether or not the Sicambri spoke a Germanic or Celtic language, or something else, is not certain, because they lived in the so-called Nordwestblock zone where these two language families came into contact and were both influential. By the 3rd century, that region became part of the territory of the Franks, which was a new name that possibly represented a new alliance of older tribes, possibly including the Sicambri. This area became known as Gaul and is today France and lower Germany from farther east. If we were to believe the writings about the Merovingian Dynasty by Michael Baigent, Richard Leigh, and Henry Lincoln in their controversial and international bestseller, The Holy Blood and the Holy Grail first publishing in 1982, (which became the basis for Dan Brown’s The DaVinci Code) ipso facto we would also believe that the Sicambrians are a remnant of the Benjamites, the Tribe of Benjamin, one of the lost tribes of Israel. Below is the believed descent of the Sicambrian-Franks from Abraham to King Clovis I. And, highlighted in red you will find some of my paternal great-grandfathers that date back into the first century. For example, Clodius III is my 61st paternal great-grandfather in my family tree. This is not to say, however, that I have to buy into the Merovingian mythology. of Coel I of Camulod (Colchester), Prince of Siluria, whose connection to Abraham is shown elsewhere in this Weblet. Well, you determine the outcome for yourself. Could my dad’s name, “Frank,” have originated from some of our earliest ancestors who just happened to be a bunch of King and Queens who ruled “the territory of the Franks?” I can tell you this, Frank, my dad, did, in fact, rule over his house. And, only Frank’s way was the right way, as all our family learned growing up. And, I think, too, that my “frankness,” definitely came from my dad! 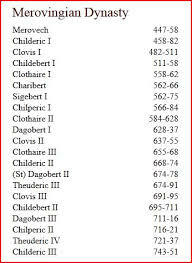 I leave you with just a few bytes about King Clovis I. It is fun being of Holy Blood! My line appears to be identical to your at some point. I am an R1a1a haplogroup person, which is from this very same mail line. That would mean the biblical Adam was a son of a family from the russian or thereabouts steppes. There are plenty of Jews and Arabs withhe R1a1a markers and they too likely came from the Steppes far before the torah story of 4000 years BCE. Though I am not a believer in supernatural I am interested in what MAY be true in the Hebrew writings. I have not yet transcribed the Kings you list, but I’ll do it soon! Thanks for YOUR page! I’ll “like” your Our Heritage page!